Stan Breckenridge – university lecturer, author, U.S. Fulbright Scholar, producer, recording artist, and performer – is a versatile academician and musician with a proven track record of excellence. He holds a Ph.D. in Musicology from the prestigious Claremont Graduate University in Claremont, California. A renowned performer worldwide and as a specialist in American music, Dr. Breckenridge effectively combines his academic and music experiences in presenting engaging lectures and dynamic performances to numerous audiences in places like France, Hong Kong, Hungary, Japan, U.K., Poland, and many cities throughout the United States. My academic assignment in the American Studies Department at Marie Curie Sklodowskiej University (UMCS) entailed teaching about American identity by lecturing on various aspects of African American culture and its relationship within mainstream American society. I was able to accomplish the objective of my assignment, and I had the delightful opportunity to discuss more intrinsic aspects of the subject matter. My opportunity to do this is due in part to students’ eagerness to learn about African American culture and its role in American identity. The American Studies Department at UMCS was more than willing to accommodate me by coordinating their departmental course offerings with my teaching specialization. The department also allowed me to offer a non-required informal setting of learning where I showed various films pertinent to my course offerings. (Some of the films included Uncle Tom’s Cabin, Birth of a Nation, Showboat, Black Like Me, The Wiz, and many others). For my lectures, students came prepared having read and examined Powerpoint presentations of each topic. In my humble opinion, I attribute this to the excellent faculty in the American Studies department, who I personally witnessed as being a department dedicated to academic excellence. Moreover, with respect to communication in English, my American Studies majors were well-prepared to read, understand, and articulate in English at the university level – another attribute and advantage of the American Studies department. Through my teaching I discovered that Polish university students, particularly American Studies majors, are intrigued by American society during the 1960s. 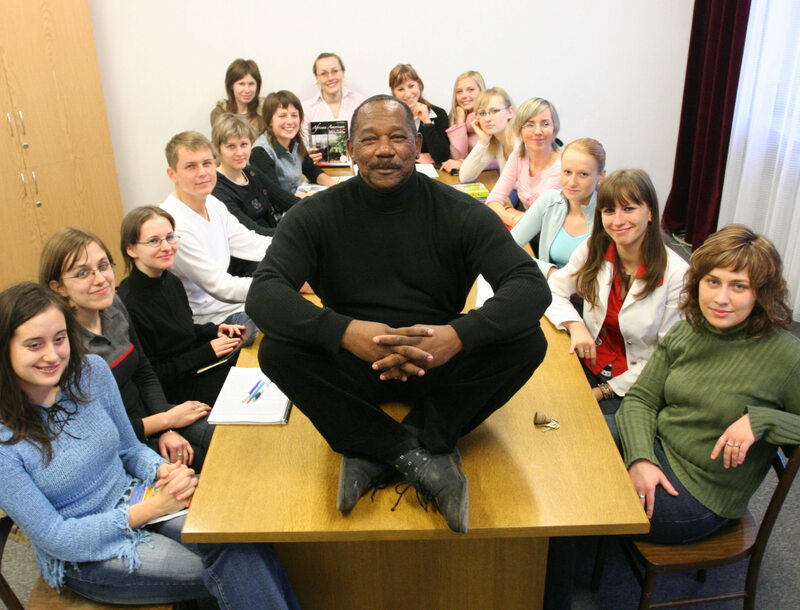 By virtue of my presence as a Fulbright Scholar, not to mention being the first African American Fulbrighter in Lublin, Poland, there are some inherent differences in teaching Polish students. Without question, students are more attentive here as the result of this extremely unique educational opportunity provided by the combined efforts of the Polish and United States governments. The Department of American Studies at UMCS provided me with incalculable professional and social guidance. They were extremely gracious to my family by arranging social gatherings nearly every weekend. Without a doubt this department stands at the top of my list among departments who are very friendly, hospitable, and interested in working with American scholars.